There are many shots that can only be made with a DSLR. Without more information, one cannot speculate what exactly the situation you refer to is. 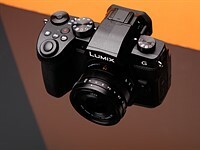 But there is no more versatile camera than the SLR so it is not at all unusual to need such versatility to get the shot. I'm glad cars don't have the same limitations as ordinary cameras, otherwise we would all have to drive a racing car to do serious driving. Cars do have limitations depending on what you want to do. If you want to do off-roading, you're not going to do it with a Nissan Sentra. If you just want to get from home to work and back again and use as little fuel as possible then a Mustang GT 500 isn't the right choice. If there were one camera that could be all things to all hobbyists we would all be using it. Are you not happy with what you use? Are you tring to find reasons others shouldn't be happy with their own gear? No, they can do as they like, I am bugged by the implication that if you don't use a DSLR then you can't be a serious photographer. In your scenerio that would be like saying that if you don't use a hummer then you can't be a serious driver. My point is, someone wanting to minimize their driving cost isn't going to do it with something like a Hummer. I'm not sure it's the right vehicle to go off-roading in either, I don't think I've ever seen one off of the pavement LOL.